Canada in spring offers a good opportunity for travelers. Travel discounts are plentiful before summer's high travel season arrives and the weather is warming up. Spring comes early on Canada's west coast, with February seeing the arrival of tulips and temperatures on average staying above 0 degrees C (32 degrees F). Elsewhere in the country, spring shows up to stay in April and extends through to June. April usually sees the last of the winter's snow, except in higher altitudes like Banff or Whistler, both popular ski destinations where the season doesn't end until May. Travelers in Canada can enjoy cherry blossoms, sip Canadian wine and do some spring skiing. Families, as well as older travelers, will find a range of activities and sights in Canada in spring. Spring arrives in British Columbia before it does in other Canadian provinces and one sure sign of the season is the cherry blossom. Beginning in March, people gather beneath the downy blossoms of ornamental cherry trees, much as they do at the Sakura festivals in Japan. Vancouver has a Cherry Blossom Festival with special events such as a gourmet dinner, public picnic in the park, a Haiku Invitational contest and, of course, beautiful cherry blossoms. Nothing says spring like tulips, so how about seeing over a million of them? The Canadian Tulip Festival brings Canada's national capital of Ottawa alive not only with blooming tulips, but music, parades, fireworks, and people from around the world. The event is held annually in May and claims to be the world's largest tulip festival. Maple syrup is one of Canada's most popular commodities and Canada accounts for 85 percent of the world's total supply (Agriculture and Agri-Food Canada). Quebec is the biggest producer of maple syrup, with Ontario, New Brunswick, and Nova Scotia also being homes to maple syrup farms. In March and April, towns in these provinces celebrate this yummy, sticky condiment with festivals, and producers open up to the public allowing visitors to observe and participate in the making of maple syrup. Ski season is still going full tilt through April in Canada and in some western resorts with higher altitudes, through May and even June. Spring skiing, especially after all the school breaks have finished, offers a chance for great discounts on lift tickets, accommodations, and travel. 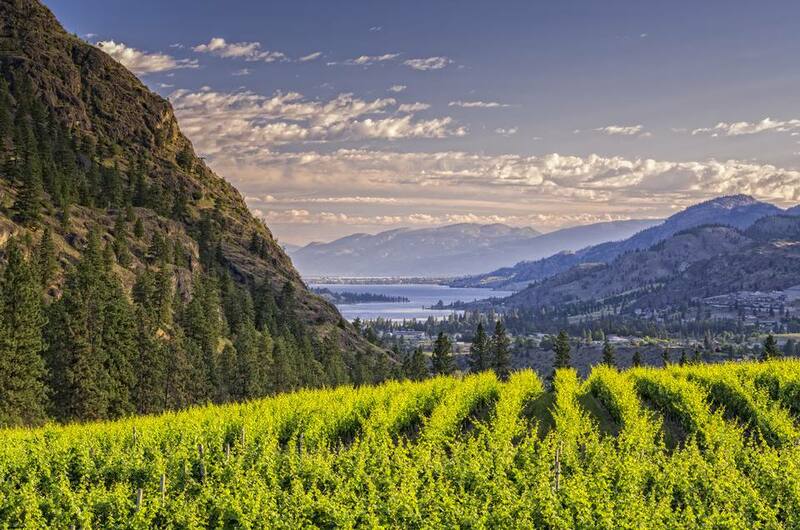 Canada has a growing number of wine regions, with the Okanagan Valley in British Columbia and the Niagara Wine Region between Niagara Falls and Toronto being the two most productive and famous. British Columbia and Ontario both have several regions each; thus visitors to these Canadian provinces can make more extended scenic driving tours, visiting a host of wineries along the way. In addition, Quebec and Nova Scotia are wine-producing provinces with wineries where visitors can taste and purchase Canadian wine.